Location: St Louis, Mo and every where else under the sun. First of all my deepest prayers and condolences to his family. Mike was a very special friend to me and many other people. He was often the most stubborn and sometimes selfish person I ever meet, but that was just Mike. I’m very happy to have been his friend through the hard times and the good times. Mike and I shared a lot of the same hobbies and talked for hours on end about ourselves, Mike helped me through a lot of rough patches in my life and I hope I helped him. These last few months were very tough on him and I know he is now in a much better place. He will never be forgotten. Michael Gillson and I will do our best to keep both the site and forum up and running. In this thread, feel free to post any thoughts you have about Mike. I speak my mind, if you don't like that oh well. I'll have you fill out a hurt feelings report and submit that to my office. I want to also thank Mike for being a great friend and fellow Skyper. He has gone through so much to keep this site up and running and for that I really appreciate his efforts. I would like to say that he will be missed and that I wish his family the best and send my condolences. SAFETY FIRST WHEN RAILFANNING TRACKSIDE! Respect private property and DO NOT TRESPASS! 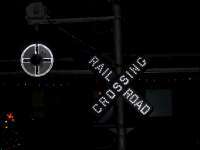 When I was just starting in railroad signals, I found this site. It was not only forwarded to me by a few friends, but I found it useful. I finally met Noah and Paul, and I was told that the man who ran this site didn't like to be in calls with people he didn't know. I just told them, add me. Me and Mike hit it off pretty well. He taught me a lot of signals, and we held several conversations of our own. Mike was occasionally in a bad mood, but you know what, he was a great guy. He was very smart and knew so much about signals. He taught me and helped me over Skype how to make pages and use Dreamviewer. He taught me skills that not only sparked my interest in web design but skills I used directly on my current site. When I found out Mike was gone, I was literally speechless. It took awhile for it to set in... I almost didn't believe it. Mike was always there for me. I remember seeing him online on Skype leading up to when he stopped getting on. I often wonder what conversations I might of missed out on seeing I didn't message him when he was on. I'm just content to know, my last conversation with Mike ended on a positive note. I also wonder what if he could see us from heaven... I have a hunch he would feel happy that even a guy in the middle of Arizona, made an impact on the world. All in all, Mike's gone. His legacy, is not. Let Mike's Railroad Crossing site have a bright future! I first started following Mike's site around 2003 and I was blown away by the amount of signal pictures and information found on the site. Of course back then the site was relatively small and has multiplied its size many times and the number of railfans contributing to the site grew and also managed to unite us. From what I could gather about him, he did have some problems, especially growing up, but one thing both of us managed to share was our love for game shows, especially The Price is Right. I'm part of other online forums one of which had a TPiR thread on it, but it always seemed like I was only posting things to myself. When I came here, Mike would always comment on whatever I posted and I was always interested in hearing what he had to say. Now that he's gone, there'll be a void in all our lives that no one can fill. It was a pleasure getting to know Mike these past 8 years and I'm sure him and his grandfather are once again chasing trains together. My god, when I first saw the Section In Memory of Michael James Hickok, I couldn't believe it. It brought some tears to my eyes to hear about this. Mike was a great man. Thanks to him, our hobby of railroad crossings will go stronger than ever. I give all my condolences to the Hickok family. I can't begin to imagine how they're feeling about this tragic loss. RIP Mike, you will always be remembered. I've never been good at this sort of thing so I'll make it short and sweet. You think your car gets bad mileage? SP 4449 consumes 10 gallons of bunker oil and 100 gallons of water every mile. You have my deepest prayers, sympathies and condolences. I remember when I first found this site in the late 90s. It was probably shortly after it initially went live. I remember how good I felt viewing it. I followed the site for a few years, but other things I had going on in my life caused me to fall away. Though I checked back occasionally, I never really followed the site again until late 2007. Since then, I've been a devoted follower and contributer. I still remember how small this site was at the very beginning. The only pictures on it were those he had taken from areas of California and Arizona. During the first few years, the site grew slowly. Eventually, the site really began to grow and blossomed into what we see today. Mike was always good friend. There were countless times that he was very difficult to work with, but that was Mike. He handled things the way he thought best and resisted change. Mike never had any children, but deep down, I really feel that he thought of the members of this site as his family. Thank you Mike, for the memories. I will do my best to keep this site going. I'm sorry this took so long to post, I was completely speechless when I found out, and I could not get my words out. I just have a few things to say. When I first found out about this sad event, I was completely speechless. I got an email from where I was subscribed to the "Out of Commission" topic on the forum, where I saw where MLGillson closed the topic with "Due to the passing of Mike". I was in complete shock when I saw this, and it was almost unbelievable, then I went to the main forum page, and saw at the top (where it belongs) "In Memory of Michael James Hickok". I was completely in shock. This hit all of us on the forum like a barrel of bricks, no one was expecting this. Mike is in a better place now, I hope that we can all be good a good happy "railroad crossing family", this is what Mike would have wanted. Please Mike Rest in Peace. Michael, I'm so sorry that you had to go so soon, you didn't deserve any of this, nobody does. 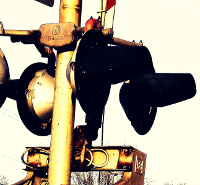 I remember back in 2006 when I first discovered this website while in search for knowledge on how railroad signals work and railroads in general. After being a lurker for almost a year, I hopped on the forums and began posting along with some very interesting people. You had made me a regular and uploaded my pictures to your website; I still thank you to do this day for doing so! I've learned so much from you and your site and I can't thank you enough for all that you've done for me. 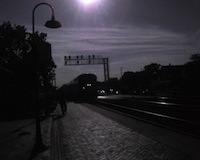 I'd also like to mention that you were a part of the inspiration for me to start a railroad signal collection. My thoughts and prayers go out to you and your family Michael. Rest easy my dearest friend. This is so sad. It's hard to fathom that you can be going through life thinking everything is okay, start feeling bad, go to the doctor and find out that you have cancer and only have a short time to live. Mike was certainly a unique individual. The creation of this site is something that nobody else would have done. He made a great contribution to the world. I know he worked hard and put it alot of effort to create and constantly add to the site for the entertainment of all of us that like railroad crossings. We never thanked him enough for his efforts. 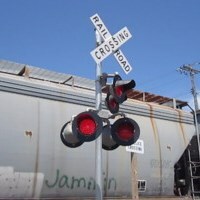 Hopefully this site will live on forever so that in the future, if anyone needs information on railroad crossings, it will be here. Mike will be missed greatly, and like what somebody said above, he is now in a better place where he won't have to deal with the troubles that life can sometimes bring.